HMS Enterprise and HMS Richmond have both rescued hundreds of migrants in the Mediterranean. HMS Enterprise migrant rescue. Crown Copyright. 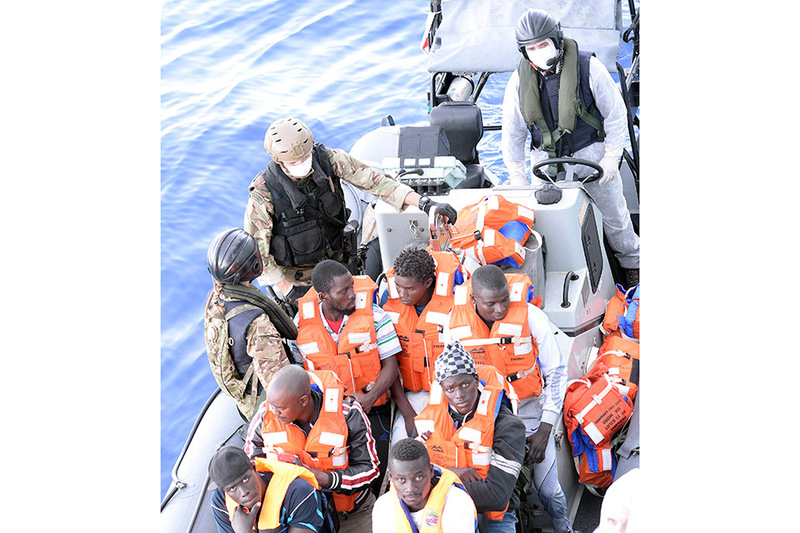 As part of the Royal Navy’s assistance to the EU Naval Force Operation in the Mediterranean countering migrant smugglers, HMS Enterprise has rescued 439 migrants and HMS Richmond has rescued 102 migrants. 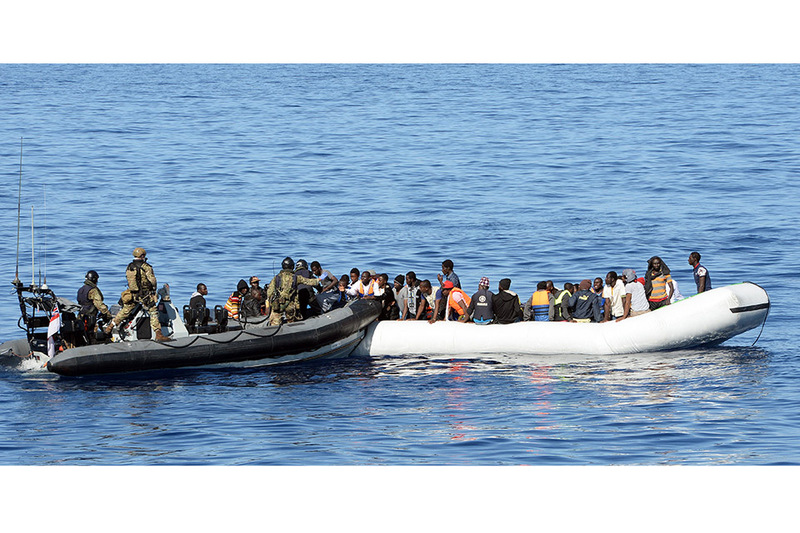 HMS Enterprise rescued 439 migrants. Crown Copyright. This comes just three days after HMS Richmond arrived on task, with new powers to board and seize smuggling vessels, as well as detain people suspected of being migrant smugglers or human traffickers. Even before HMS Richmond arrived on task, she was involved in identifying people smugglers on her way to her starting location, leading to the detention of suspected people traffickers. 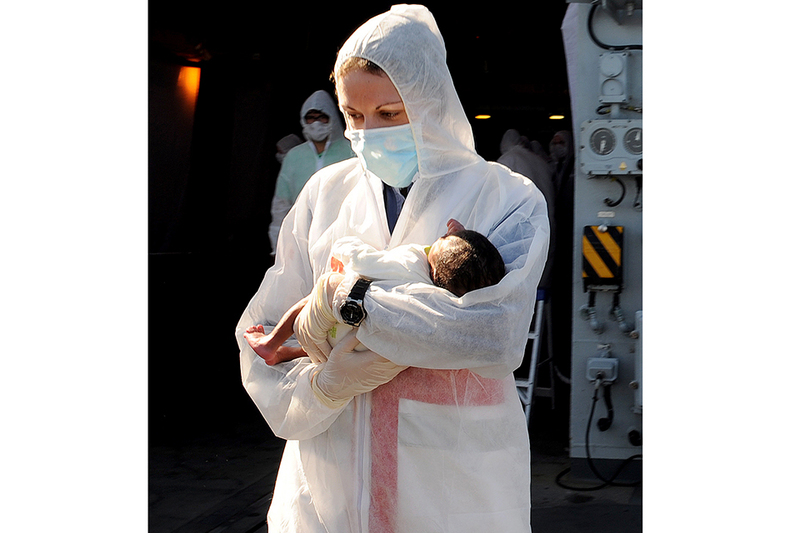 The Royal Navy continues to demonstrate its invaluable work in the Mediterranean, saving 541 vulnerable lives. Our focus remains on hitting the criminal gangs responsible for endangering the lives of innocent people. We are determined to tackle this at source. The new powers we have to board boats and detain the smugglers will help us put an end to this trade in human misery. HMS Enterprise rescue. Crown Copyright. The migrants were cared for by the military personnel on board the ships and have been transferred to the Norwegian support ship, Siem Pilote, to take them ashore and enable both HMS Enterprise and HMS Richmond to return to their original taskings. Including this latest rescue mission, the Royal Navy ships involved in the Mediterranean have rescued almost 7,000 migrants since May. Additional photos can be found on the Defence Imagery website. HMS Richmond rescue in progress. Crown Copyright. HMS Richmond rescue. Crown Copyright.